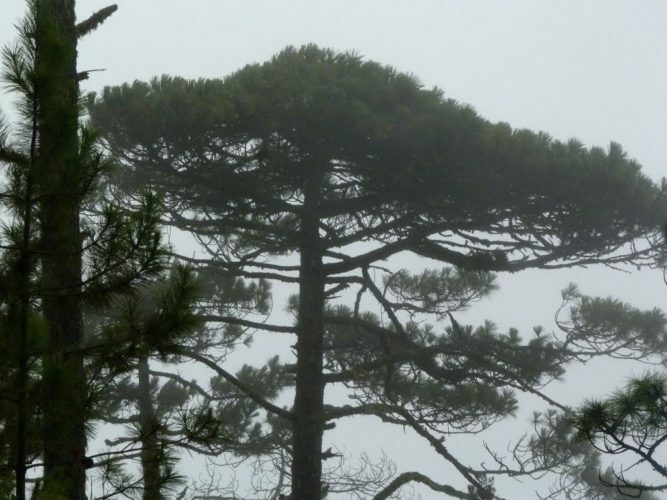 Abies guatemalensis, first described in 1939 by Alfred Rehder (1863–1949), is commonly known as Guatemalan or Pashaque fir in the English language; also as Abeto de Guatemala, pinabete, or romerillo in Spanish. Historically there have been two varieties Abies guatemalensis var. 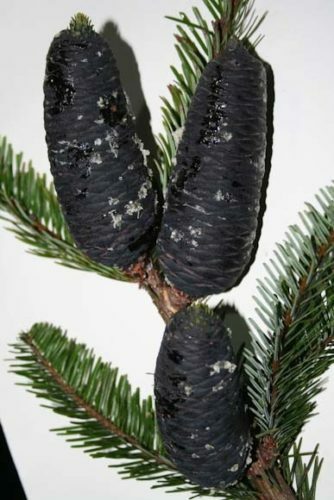 guatemalensis, the type which is described here; and Abies guatemalensis var. jaliscana. These were descriptions and opinions reached by Aljos Farjon working simply with herbarium samples. Later studies done by K.D. Rushforth (1989) and Zsolt Debreczy (2012) that involved field study led to conclusions that A. guatemalensis var. jaliscana is best described as its own species, Abies flinkii. These conclusions were further supported by molecular analysis done by Érika Aguirre-Planter, et.al. (2012). Description. 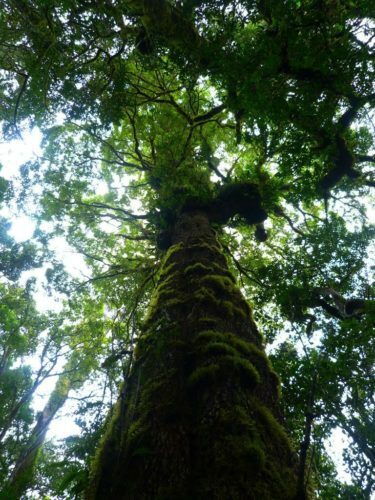 Guatemalan fir is as evergreen coniferous species of tree which grows to a mature height of 65 to 130 feet (20 - 40 m) tall with a 3 foot (100 cm) trunk diameter at breast height. The needles are 0.6 to 2.2 inches (15 - 55 mm) long and 0.05 to 0.08 inch (1.2 - 2 mm) wide, shining green above with 2 white stomatal bands beneath. The seed cones are oblong-cylindrical, 3.2 to 4.6 inches (8 - 11.5 cm) long by ca. 1.7 inch (4 - 4.5 cm) broad, purple when immature, becoming dark brown at maturity. Distribution. This has the most southerly distribution of any species in the genus (Donahue et al. 1985, Abies guatemalensis: a two-year status report). It is native to: El Salvador western Guatemala — Quiché, Chichicastenango, Totonicapán, Sololá, Huehuetenango, Quetzaltenango, San Marcos, Jalapa Honduras — the Santa Barbara Mountains Mexico — Chiapas, Colima, Guerrero, Oaxaca, Tamaulipas It is a mountain species, associated primarily with Pinus ayacahuite, P. hartwegii, and Cupressus lusitanica (Although growing at 5,900 to 13,500 feet (1,800 - 4,100 m), this most southerly of firs is still not reliably hardy in northern climes. It grows in areas that have annual rainfall of more than 40 inches (1000 mm) in moderately acidic soils (pH 5.4 to 5.7). Abies guatemalensis — a closeup of seed cones and foliage. Abies guatemalensis — a large tree growing in nature.